Package was a bit damaged when arrived, but everything inside was still in tact. The loading station is a bit light, so it turns over easily. Cant put the plug all the way in the socket regular NL/Europe because of the boxy shape, thats kinda weird. But I can get it in just enough to get power from it. Shaver works just fine though! And looks good. Package was a bit damaged when arrived, but everything inside was still in tact. The loading station is a bit light, so it turns over easily. Cant put the plug all the way in the socket regular NL/Europe because of the boxy shape, thats kinda weird. But I can get it in just enough to get power from it. Dear customer, thank you for your review, it is very important to us. We will forward your feedback to our warehouse to see if there is anything we could improve in our packaging procedure. We hope we will do a better packing next time, so the order can come in good shape. Dear customer, thank you for your review, it is very important to us. We will forward your feedback to our warehouse to see if there is anything we could improve in our packaging procedure. We hope we will do a better packing next time, so the order can come in good shape. Dear Customer, it is happy to know that you are satisfied with your purchase. This is also a short word, it also means a lot to us. We are working to provide excellent quality and service for our customers. We look forward to seeing you again very soon. Gentile Cliente, è felice di sapere che sei soddisfatto del tuo acquisto. Anche questa è una breve parola, significa anche molto per noi. Stiamo lavorando per fornire una qualità e un servizio eccellenti per i nostri clienti. Non vediamo lora di rivederti molto presto. Purchased a couple of months ago, I was very hesitant to buy but I have to change my mind. I have a Philips 7000 series and this cuts better in less time. The only anomaly is the battery life, practically after maximum 2 shaving you have to recharge. The built-in whisker rule does not cut. Only the life of the head should be checked, even if the part is really cheap. For cleaning, you must pass under water. Recommended. Acquistato un paio di mesi fa, ero molto titubante allacquisto ma mi devo ricredere. Ho un Philips serie 7000 e questo taglia meglio è in meno tempo. Super shaver, with accessories for cutting hair and nose. Make a surprisingly good shave. Estupenda máquina de afeitar, con accesorios para corte de cabello y nariz. It was a gift and a great satisfaction, except for the duty that had to be paid! Byl to dárek a veliká spokojenost, až na to clo co se muselo zaplatit! 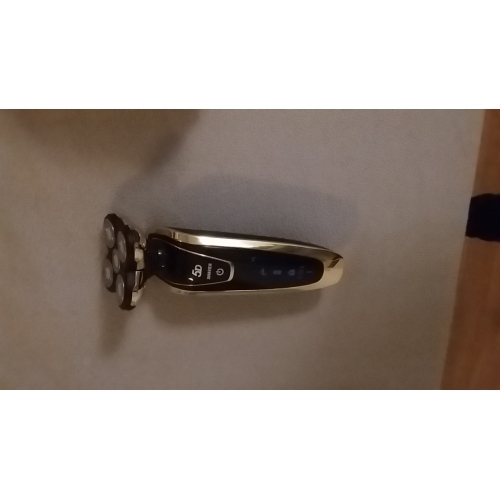 Hello, I received my order: the electric shaver gold color. It conforms to my expectations and cuts very well. I recommend this product very interesting. Sincerely Mr Sébert. Bonjour, j’ai bien reçu ma commande: le rasoir électrique couleur or. Il est conforme à mes attentes et coupe très bien. Je recommande ce produit très intéressant. Cordialement Mr Sébert. Nice shaver, nice design, but a Philips device shaves really better. It shaves faster and better. But that is also the price. Mooi scheerapparaat, mooi design, maar een Philips apparaat scheert toch echt wel beter. Die scheert sneller en beter glad. Maar daar is de prijs ook naar. 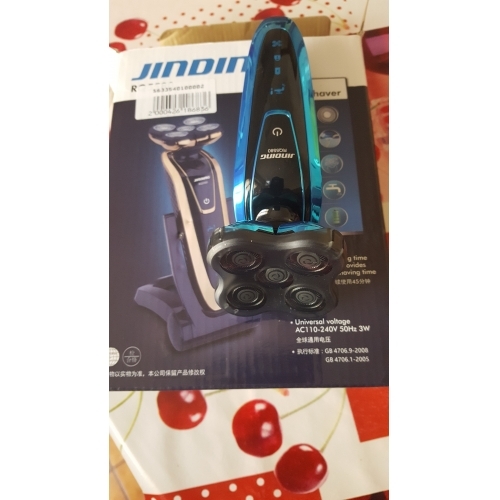 Nice shaver, nice design, but a Philips is really better. It shaves faster and better. But that is also the price. Mooi scheerapparaat, mooi design, maar een Philips is toch echt wel beter. Die scheert sneller en beter glad. Maar daar is de prijs ook naar.